About — Hegeman’s Landscape & Tree Service Inc.
Hegeman’s Landscape and Tree Service Inc. owner Pieter E. Hegeman II can help from grading to final functional landscape or commercial needs. With years of design, landscape, horticulture, hardscape, and teaching experience at Franklin & Marshall College; each job is approached with every individual client in mind. Hegeman’s offers a variety of landscape and specialty services and has given hours of time to local community projects. We devote ourselves to helping and serving our clients. We are proud of the products, work ethic, and projects we complete. Give us a chance to earn your trust and your business. Hegeman’s Landscape and Tree Service Inc. was founded in the Netherlands then brought to the USA, by Pieter’s Father. Pieter Hegeman II then became owner in 1982 and has continued the business ever since. 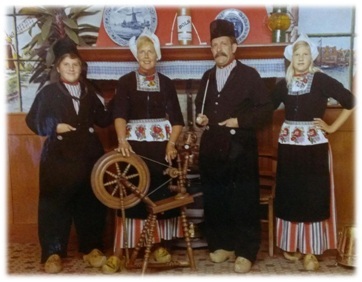 The Hegeman’s were recognized by the Queen of the Netherlands and have received much recognition.